Are You With Us Yet? We’re excited to announce that we have joined the rest of you on Facebook! We are excited for a new, fun way to keep in touch with our patients. We will be posting exciting updates, fun pictures and even “Facebook exclusive” monthly promotions and deals! 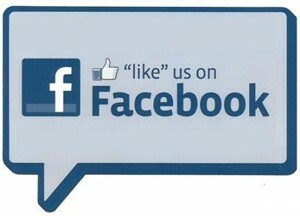 Click here to check out our page and make sure to “like” us! Don’t Miss Our October Promotion!